I got inspired over the weekend to do some clearing in the garden. And I can learn most of life’s important lessons from my garden. I was looking for a place to plant squash and cucumbers. It’s time to make room for those summer veggies. I was looking into the spot where nasturtiums have been growing, and then I realized it was time to clear the favas. I had planted them to feed the soil, but didn’t get to turning them into the soil until too late. 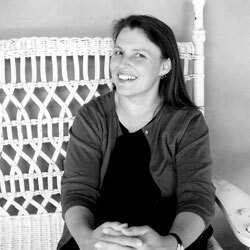 And once they bloomed – beautifully – I was easily convinced to let them grow pods for eating. 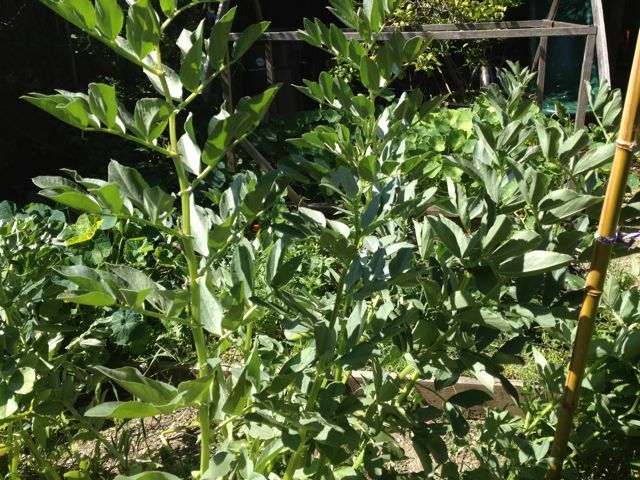 I have been harvesting the favas for the last week, mostly eating them raw in the garden. But now it was time for a grand clearing. And it felt great to make room. I left the roots in the soil with all those nitrogen globules (my highly scientific name) in place, and added some compost in each large hole I dug for my new veggies. Then I had to do something with the favas. Usually I make a puree similar to the one in Chez Panisse Vegetables, great with homemade ricotta, by the way. But that was too demanding for me, tired from gardening. 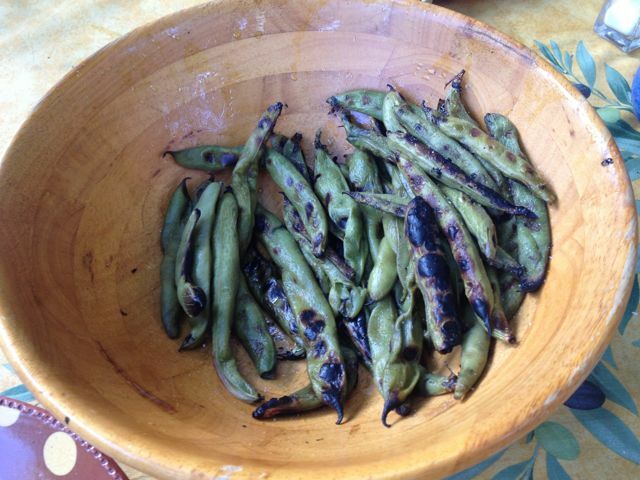 So I found a great recipe on 101 Cookbooks (Heidi Swanson) for grilled favas. And how delicious they are. I LOVE being able to just toss with olive oil and salt and throw them on the grill (like I do to my asparagus). Then once they are done, you can relax with friends at the dinner table and shell and eat them, pausing and chatting (and drinking rose, if you like). A lovely Saturday dinner it was (so great I made them again tonight) relaxing in the garden with friends. 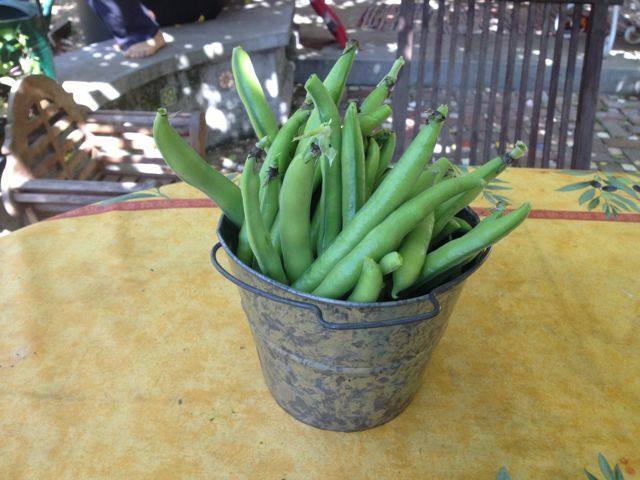 And there are still more favas in the fridge………. We had a great Sunday at our craft sale. 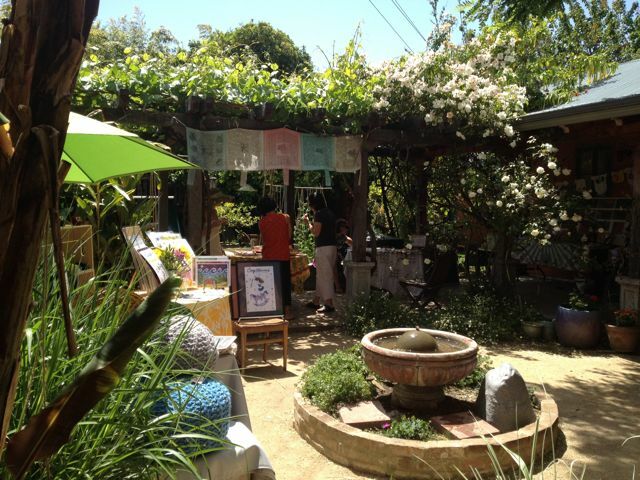 It was warm and sunny, and many good friends stopped by to hang out and buy some of the beautiful crafts. After all the preparation and cleaning and crafting, it was so nice to sit and relax and enjoy the place. And eat all the delicious cheese, chocolates, and homemade lemon balm tea (more on that later!). I happily finished one of my craft projects in time for the sale. 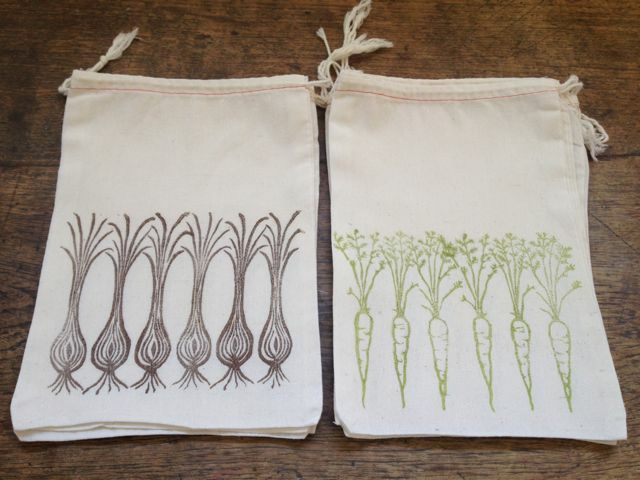 Muslin market bags – ones to take to the farmers’ market or any market and fill with produce. Next time I will go for the bigger size; these are a little small. But nice for a bunch of carrots or some onions or garlic, or a few apples. And I am getting even better at printing on fabric; at last I am developing some better techniques. It is helpful to minimize the number of stampings on each piece; 2 was just about right. I still love carving using the rubber carving blocks. You can’t get the same detail as with linoleum, but it is better to keep it simple when printing on fabric anyway. 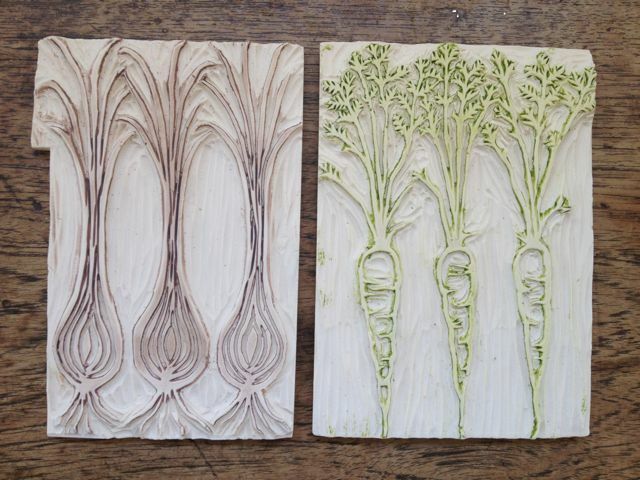 And the ease of carving – particularly on the onions, made it so fun to do. Here’s to the next project, likely those napkins in search of a stamp…. 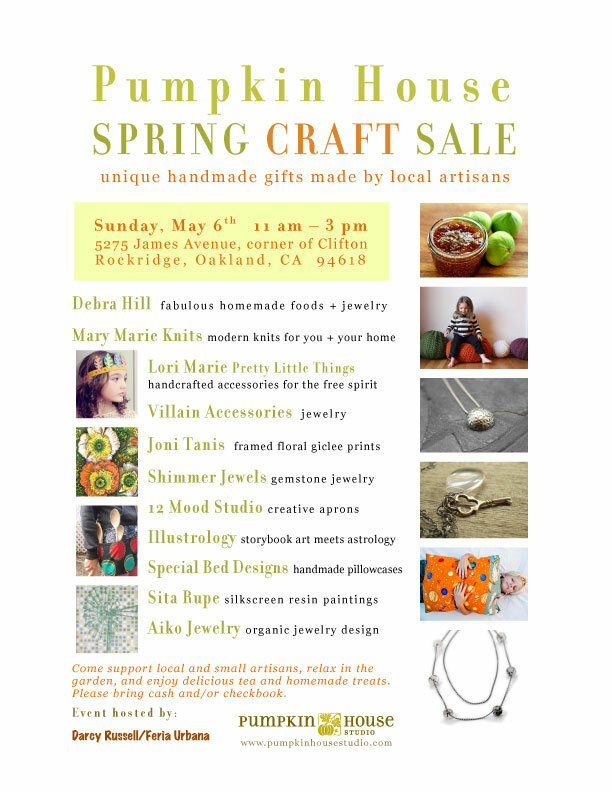 This Sunday, May 6th, Pumpkin House Studio is teaming up with Darcy Russell of Feria Urbana to host a fabulous Spring Craft Sale at our pop-up storefront. There will be 12 talented artisans selling locally handmade jewelry, knitted goods, fine prints and paintings, girls leggings and accessories, and more. 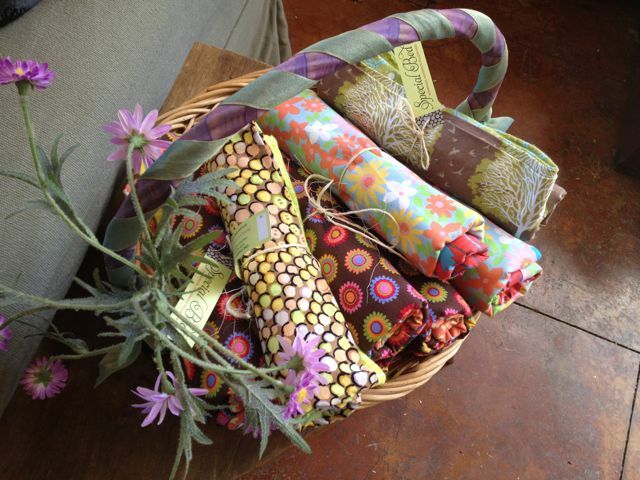 The garden will be open and we will have homemade lemonade, tea, and nibbles. 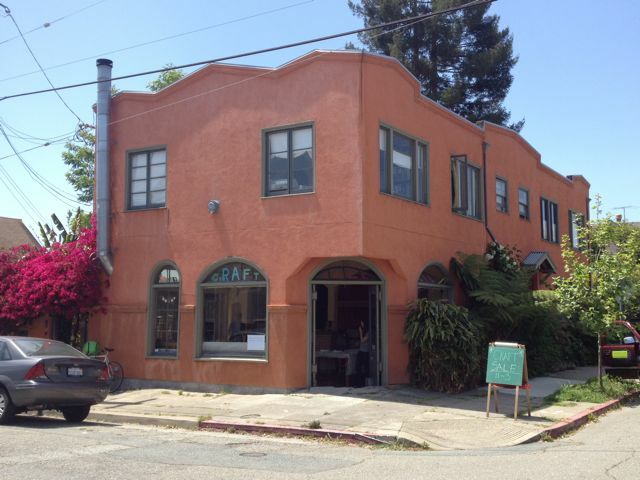 Come by and visit!